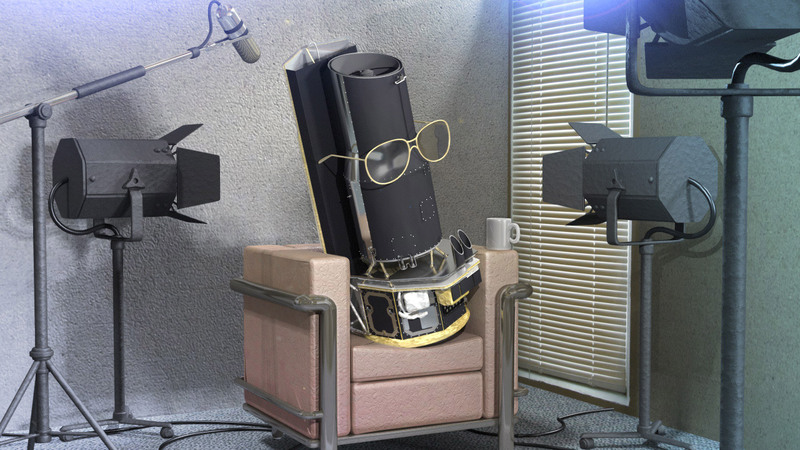 Most blog readers are no doubt familiar with the world of space telescopes. But have you ever gone to your friends and asked them what comes to mind when they hear the word “Spitzer?” Chances are, they will ask if you are referring to a certain politician… Or maybe a carbonated beverage. Now is the time to set them straight! The 10th birthday of the Spitzer Space Telescope has arrived, and we are celebrating the wealth of images that it has brought us over the past decade. As an astronomer who works on Spitzer data nearly everyday, I love to tell friends and family about the research contributions of different types of space telescopes, from X-ray to infrared. Our team at the Spitzer Science Center (SSC) collaborates on a large project to monitor the fits and growth spurts of baby stars in the open cluster NGC 2264. In fact, fellow astronomer Luisa Rebull introduced this campaign a while back. I love gazing at the colorful nebulosity that makes up the many star-forming regions that Spitzer has observed over the years. I’ve got to sheepishly admit, though, that being a research astronomer is not always about looking at pretty pictures. We run a lot of computer code, we break the computer code, and we spend months working on papers. Some of these activities can be frustrating, and I inevitably turn to music on the days when data reduction is not going smoothly, or the results seem outright wrong. I’m not one to collect thousands of songs on an iPod, so instead I turn to YouTube for its variety of musical playlists. And during my year and a half as a postdoctoral researcher at the Spitzer Science Center, I’ve discovered dozens of inspiring pieces that sometimes just seems to blend in with what I’m working on. As I crank away on infrared data, sometimes I wonder what the telescope would sing or play, if it could (yes, I tend to delight in the absurd). And then an idea popped into my head – why not go ahead and set a musical arrangement for this venerable space observatory? Around the same time, I discovered the movie making software on my laptop, and a new hobby was born. In honor of the 10th anniversary of the telescope’s launch, and all the engineers and scientists who made it possible, I now present a musical and astronomical birthday present to Spitzer! It is an arrangement of the William Tell Overture composed by Rossini. …Meanwhile, if your friends still think that Spitzer is a politician, maybe you want to kindly point them to the video. Authored by Ann Marie Cody, this blog post originally appeared at the Spitzer website hosted by CalTech.